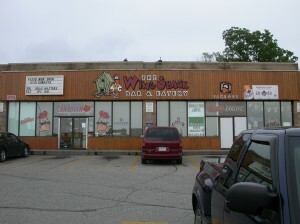 It’s a sad day in wing land – Wing Shack Whitby is closed. It was my favourite wing place of all time. The wings were awesome! Never breaded, and almost all of the flavours were spicy. For example, their medium was literally Frank’s Red Hot hot sauce. Not just spicy, but delicious too. They used to have a promo where for every Leaf’s game, it was 2 for 1 wings for the whole game, also it used to be 2 for 1 Saturdays too – but they cut back on those days this year. I hope this isn’t the last Wing Shack endeavor. If it is, I would love to get a hold of the recipes, especially the 9 pepper. The 9 pepper is unmatched in flavour, and has great heat. The Wing Shack wings are the yardstick by which I judge all other wings. Also, if you are willing to share your recipes, oh great Wing Shack chefs, I’d be glad to publish them (or keep ’em to myself – either way, I’ll take ’em). I’ve now added an archive of the Wing Shack’s website (as it was when it went down) to my site, with Dave’s permission of course! I’ve been in contact with Dave on several occasions (address in comments below), and ordered sauces off of him when he does a batch. If you’d like authentic Wing Shack sauces, contact him. It’s legit, and the sauces are awesome! Dave is launching a new venture in Oshawa, The Patty Shack. More info here. I won’t say their wings are (were?) my favourite, but one of my fave places for sure. Did that wonderfully-named Motley Crue cover band (“Remotely Crue,” I believe) get to play this past Saturday or did the tank happen before then? I used to work there. Quit because of regular unsanitary conditions and not in compliance with health regulations. That’s it. No kidding. Finally caught up to him. I would never eat there. Really? I’m sad to hear that. The food was always good, but I guess I’ve never seen the kitchen. back on the fries & veg & dip that used to be included in a pound. & one of the staff told me “I saw your letter”. So they thought it was important enoufgh to show around, but not to reply or address the concerns. Hey guys,whats up with the closing of the shack in Whitby..Those of you who know me will remember it was my fav bar of all time..I had many many great times there with my buddies and friends..Got to know the staff as though they were family..Dave,Brian,Brett,Ronnie,Kris,Kim,and others..Since moving out east almost five years ago,I only made it back to the shack when vacationing in Whitby with family..I remember when it first opened,great atmosphere,great food,great entertainment..Lots of great memories..Will truly miss the shack when returning to Whitby….TAKE CARE ALL,GOOD LUCK…….. Thanks for all the good and bad comments… the truth be told anytime you wanna hear it and good news for some…Wing Shack Sauces live on…. just send me an email and i will get back to you to talk about your order…. As for the former employee…. nice to see that no names ever get published when they have something bad to say….talk to me anytime!! Heya Dave! Thanks for the comments. I’ll be sure to contact you shortly re: sauces. I’m so pumped! 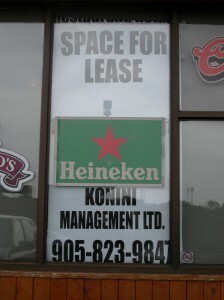 I was one of the regular customers at Wingshack, first in Ajax, and the in Whitby. Their wings were the best, and the customer service was great too. Jesse and Lisa were awesome. I didnt even have to place an order, whenever I went there……They knew it !! I would give anything to have a taste of the ” 9 PEPPER” SAUCE, and the “GARDZILLA SAUCE”( I dont know if I spelt it correctly, but it came with the fries ). I would highly appreciate If anyone would please inform me , If the ever open up another branch. ALSO, IF IT WOULD BE AT ALL POSSIBLE, I WOULD LIKE TO GET A HOLD OF THE RECIPE FOR THE “9 PEPPER SAUCE” , and the “GARDZILLA SAUCE”. Try Wow Wings over by the Whitby Library. Texas Homicide is awesome… over 100 flavours. Hey…I liked the fact that amateur local talent was featured on Sunday afternoons. I’m a teacher and some of my kids performed at the “Wing Shack”! Now, I’ve got a new crop of wanna’be’s but there’s nothing like the Wing S. where they can perform. Any suggestions would sure be appreciated. I run a guitar club and these kids need a place to get started! Check out the Patty Shack. It’s run by Dave, and has all the same sauces! I am one of the original repeat customers from the original wing shack in ajax, then whitby and recently found out about the patty shack. You even sponsored my ball team for a few years and we won everything to give you a plaque at the end. just wondering what happened to all the sponsor plaques and pictures? Ah man this place had one of the best cover bands of the Tragically Hip play there called Road Apples. Great atmosphere and had lots of fun.